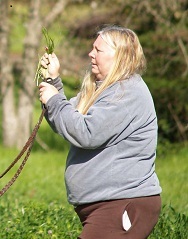 The mare Jill Burnell identified as "Pokey" to animal services at seizure. Her name is actually Devil's Sis. 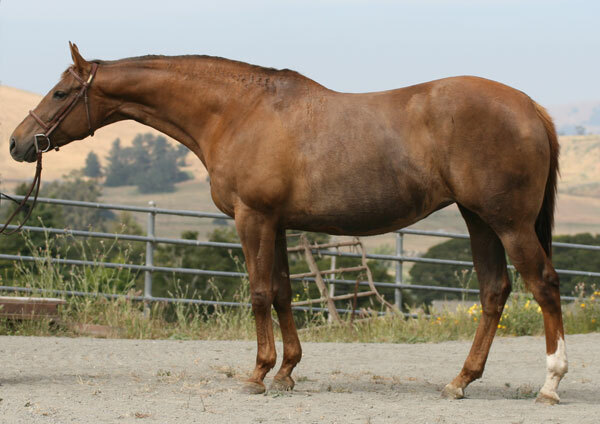 A new ruling states Marin Humane Society Animal Services in California was justified in the seizure of two mares from Gray Fox Farm. 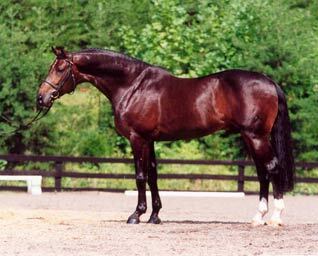 Jill Burnell is the owner of the warmblood breeding farm. This was the second hearing this month after a judge denied Burnell’s request to have her horses returned to her on January 8. Officials say the two horses reportedly known as Nutsie and Blackie were seized days prior due to their emaciated state. Nutsie had no fat across the crest of her neck according to officials. Similarly, they say Blackie’s shoulder blades, backbone and hip bones stuck out. 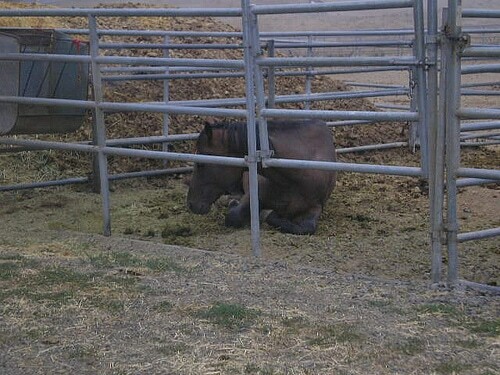 The horses continue to receive care and recover at UC Davis Large Animal Clinic. Whenever an officer authorized under this section seizes or impounds an animal based on a reasonable belief that prompt action is required to protect the health or safety of the animal or the health or safety of others, the officer shall, prior to the commencement of any criminal proceedings authorized by this section, provide the owner or keeper of the animal, if known or ascertainable after reasonable investigation, with the opportunity for a postseizure hearing to determine the validity of the seizure or impoundment, or both. the Marin Humane Society. 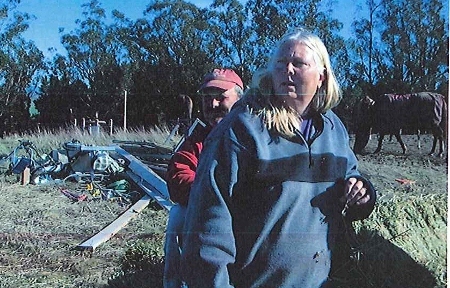 Burnell states in court documents the seized mare is Pokey – shown in much better body condition at an earlier unknown date. 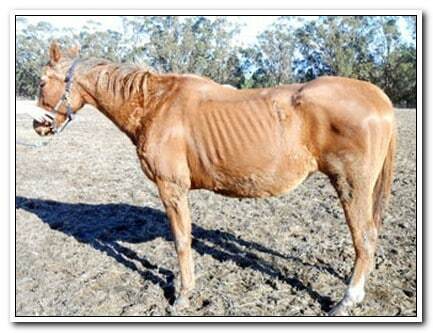 She has been identified as Devil’s Sis, a 2001 thoroughbred broodmare. We contacted Burnell’s attorney Maggie Weems, but did not receive a response prior to publishing. Code enforcement issues still inhabit the Burnell’s world. 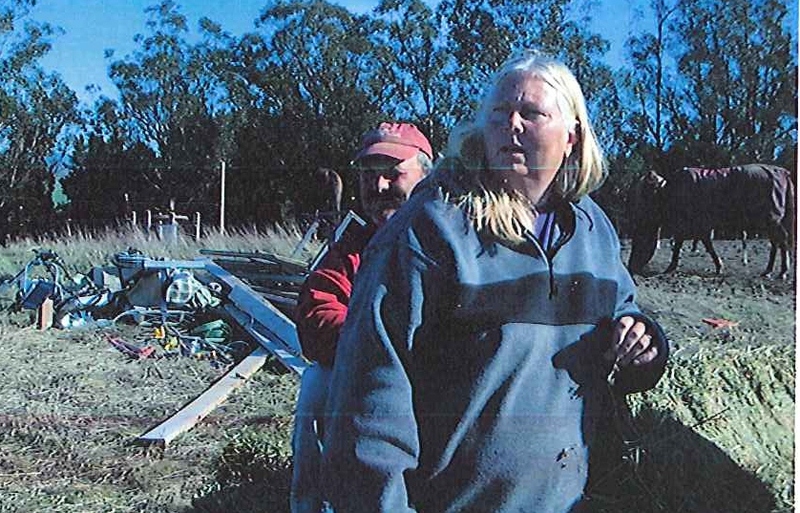 Rate My Horse PRO previously reported that Marin County’s code enforcement department notified Burnell and her husband, Alex Burnell, that they couldn’t live on the farm in their travel trailer. Also a violation, the piles of junk stacked on the acreage. Code Enforcement Specialist Robert Harris says he has been in contact with Weems. Despite claims her clients were not in violation, Harris says the rules are clear. The property is not approved as a camp ground. Harris says the Burnells have until March 1 to remove the travel trailer and accumulation of junk. If they don’t, he says they could be subject to civil penalties, fines, and eventually a lien could be put on the property. Burnell’s business has had other issues over the years. Allegations of bad business dealings and multiple judgments for non-payment of services continue to follow the Gray Fox Farm business owner. There is also a bench warrant for Burnell’s arrest in San Mateo County according to court records. Officers continue to monitor the remaining horses on the Burnell property according to Wagman.